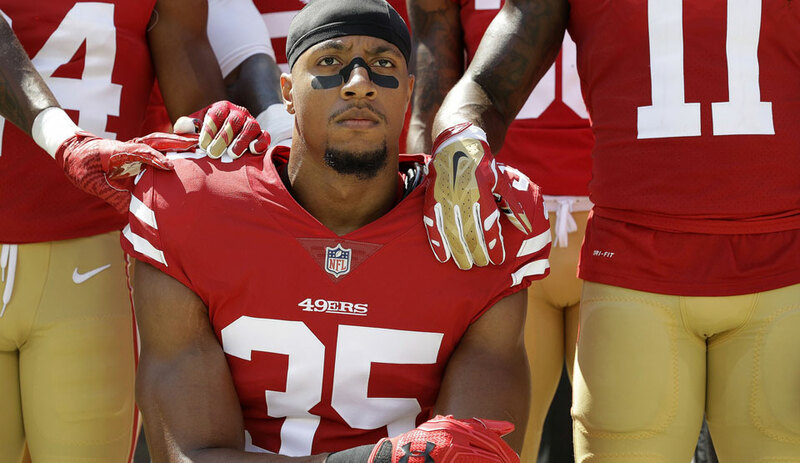 NFL safety Eric Reid, the first player to take a knee with former 49ers quarterback Colin Kaepernick to protest racial injustice and police brutality during the national anthem, is heading back to the gridiron as a Carolina Panther. The Panthers signed Reid to a one-year deal worth up to $2 million. He will earn $1 million in base salary, with $390,000 in 46-man roster bonuses for a total of $1.39 million. The NFLPA and Reid filed a grievance against the NFL alleging team owners and the league, pressured by Donald Trump, conspired to keep him unemployed due to his activism on and off the field. Kaepernick, who remains unsigned, filed a similar grievance against the league October 2017. Panthers general manager Marty Hunter told ESPN last Thursday the decision to bring on Reid was a “football decision” not influenced by Reid’s grievance. While that may be well and true, the timing of Reid’s signing comes as Kaepernick’s grievance heads to an arbitration hearing. A collusion grievance is hard to prove—ask the MLBPA—from the get-go and this slightly dents Kaepernick’s defense argument. All this led to swirling speculations about Reid’s grievance and what action, if any, he would take. 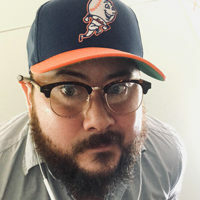 And while he would not go into detail about the grievance, since it is ongoing, he said his overall fight for justice would continue, but didn’t know if kneeling during the national anthem would be included in that fight. Reid also reminded reporters at yesterday’s press conference that 2019 will mark 400 years since “the first slave touched the soil in this country. That’s 400 years of systemic repression, slavery, Jim Crow, new Jim Crow, mass incarceration, you name it. “Racial injustice has been happening since my people have gotten here. So I just felt the need to say something about it,” he added. Reid hit the field for the first time Monday since December 2017, after finishing the season with the San Francisco 49ers. Keep an eye out for his first start Sunday, Oct. 7 against the New York Giants.